The need for blood donations is never ending, and just one pint of blood can save as many as three people’s lives. 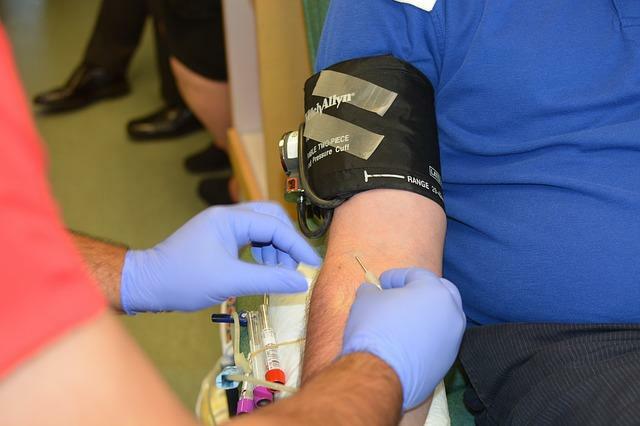 Most healthy individuals will have no problem donating blood, and can do it as often as once every eight weeks. However, there are a select few who are not able to donate their blood, and the reasons why may surprise you. According to the American Red Cross (ARC), being on a course of antibiotics does not automatically exclude you from being able to donate blood. It must be determined whether or not the drugs are being used to treat a bacterial infection that could be transmissible by blood. However, even in the case where the infection is transmissible through blood, individuals are allowed to donate blood after they have finished their course of oral antibiotics, even if the last pill was taken on the day of the donation. In addition, it is not recommended for individuals to donate if they feel generally unwell on the day of the donation. In order to donate blood you must have at least 3400 mL of blood volume. Blood volume is determined by body weight and height, and individuals with low blood volumes may not tolerate losing so much blood. This means that generally, males must be at least 4’10” tall and weigh at least 111 pounds. For women, it's a bit more complicated. Generally, you must weight at least 110 pounds, but women shorter than 5’5” must be heavier in order to meet the weight requirement, Life Share reported. Those who have a health condition where their blood doesn't clot normally, or are on anticoagulant medications such as Coumadin (warfarin), should not donate blood as they may have excessive bleeding where the needle was placed. However, according to the ARC they are not automatically disqualified from donating blood. These individuals are advised to be evaluated by a health worker at the collection center. Most people with a history of cancer are eligible to donate if it has been more than 12 months since their cancer was successfully treated. Skin cancers where the cancer has been completely removed do not need a 12 month waiting period. However, individuals who have had blood cancers, such as leukemia and lymphoma, are not eligible to ever donate blood. Due to concerns about hepatitis, in Georgia, Idaho, Maryland, Massachusetts, Nevada, New Hampshire, New York, Pennsylvania, Utah, Wyoming, and the District of Columbia donors are asked to wait a year after getting a tattoo and a year after getting a piercing from a “questionable source” before donating blood. Peircings from hygienic establishments do not require a waiting period. Individuals who have travelled to areas that are considered “malaria-risk” countries are asked to wait a year after returning from the trip before donating blood. If they lived in a malaria-risk country for more than five years, they are asked to wait three years after returning to the U.S. before donating blood. People who have spent long periods of time in countries where "mad cow disease" is found, such as Great Britain, are also not eligible to donate, regardless of how long they have been away from it.